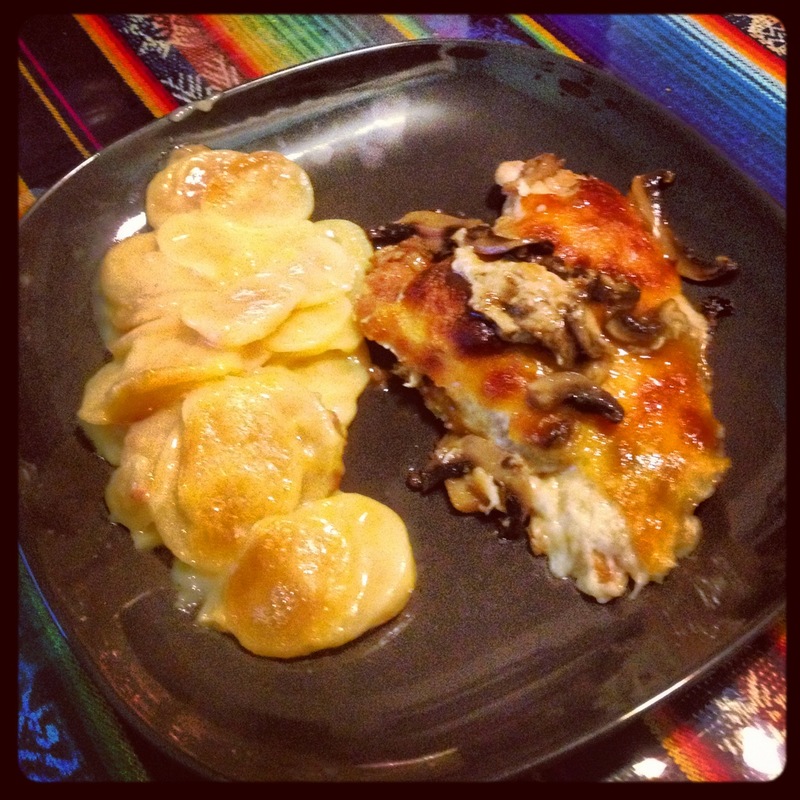 »Food»Chicken for Cheese and Mushroom Lovers! Today I had a friend over for lunch and was inspired to whip out one of my go-to recipes for a quick and delicious meal. I’ve also made this as a special birthday dinner for my mother, so shout out to my mom! What I’m going to describe today is a no-fuss chicken the starts out in the frying pan and ends in the oven. Its comfort level is high, so be forewarned that after eating this chicken you’re going to have to take a nice long nap. It’s cheesy, covered in mushrooms and will keep you full for the rest of the afternoon. The ingredients for this recipe are pretty easy to get and some of these things should become staples in your kitchen, as they can be used over and over in many different recipes. To start off, you’re going to fry your chicken first before it goes in the oven. Take your breadcrumbs and sprinkle them on a plate, adding some salt, garlic powder or other preferred seasonings for more flavors. Grab a small bowl and crack your egg inside, beating it a little. This is going to be you breading station. Take your chicken breasts, and after dipping them in the egg, lay them one by one in the breadcrumbs and make sure they get covered completely. 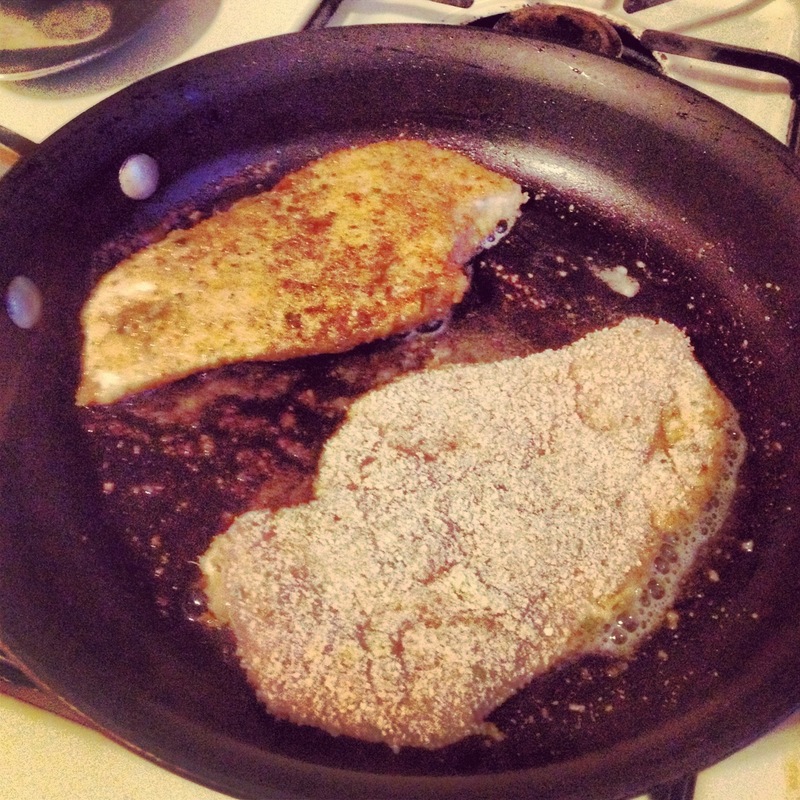 Melt some butter in a frying pan and place your chicken on medium heat. Cook the chicken, making sure it browns on both sides. After you’ve fried all your chicken pieces, place them on a plate and set them aside. Taking your mushrooms, wash them one by one in a bowl of water. The key is to be careful since mushrooms tend to be very delicate, so just get them wet enough to take off the dirt that may still be clinging to them from when they were wrapped up. 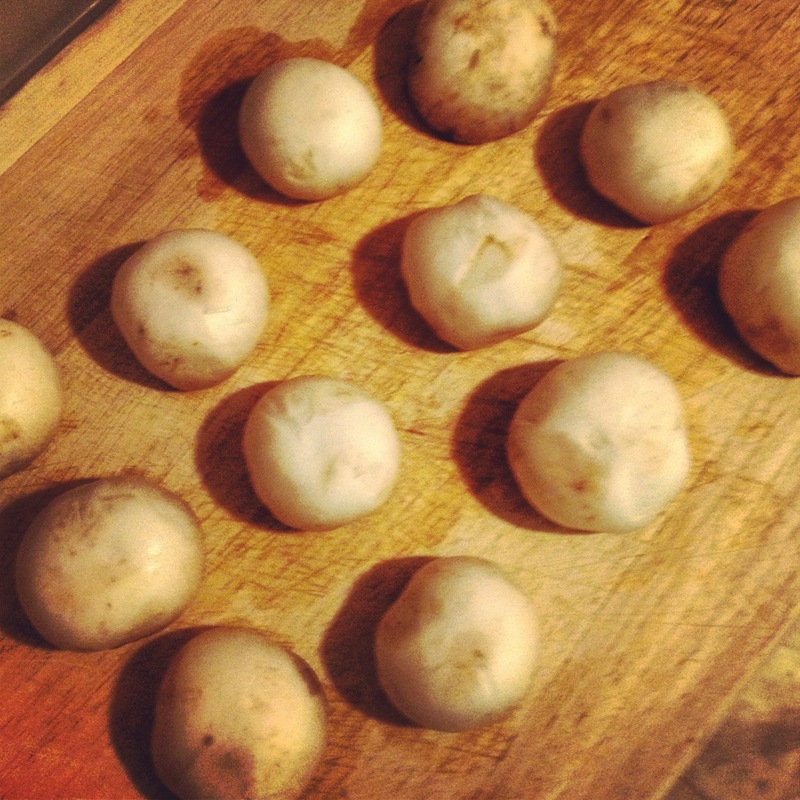 Once your mushrooms are clean, take out the stems by wiggling them a little and then snapping them off. If the stems are tender, you can slice these as well as the mushroom tops and cook them. 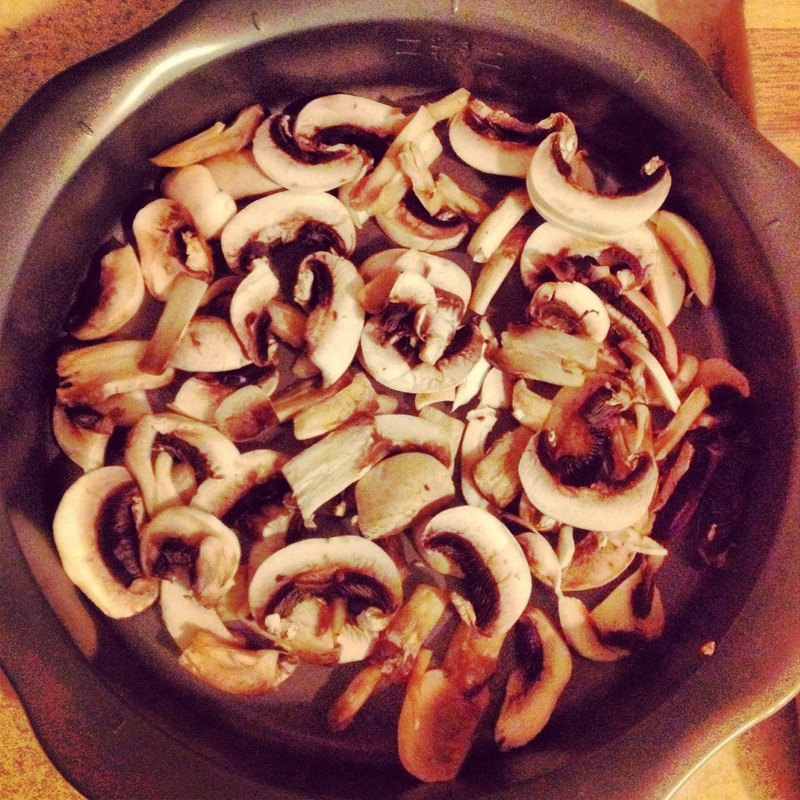 Slice your mushrooms and place in a bowl. Grabbing a baking dish (I used a small pie dish since I was making this for two people) you’re going to layer half the mushrooms on the bottom of the dish. 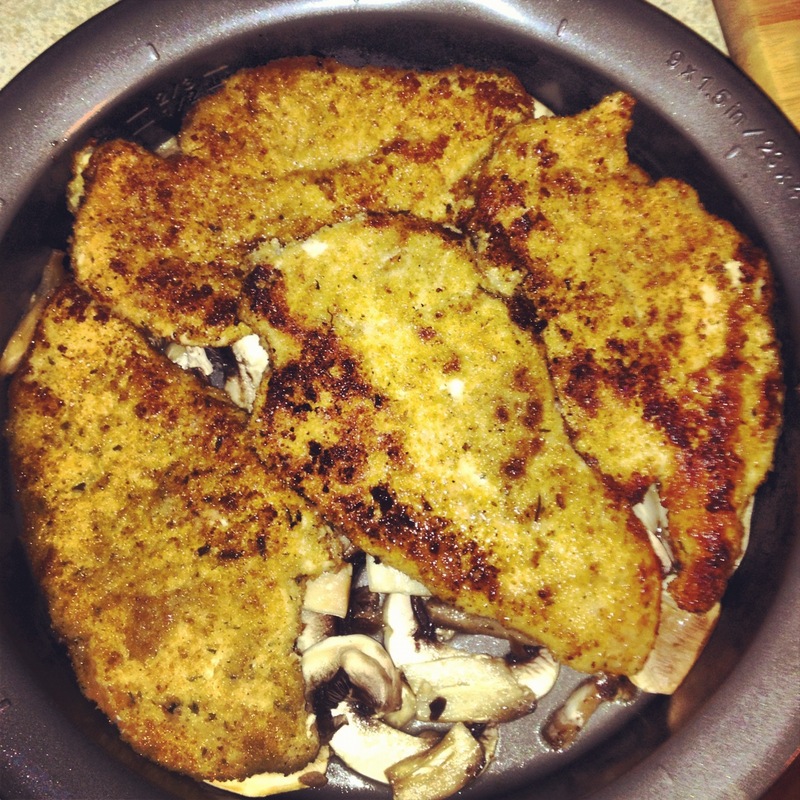 Pour half a cup of the chicken broth over the mushrooms. 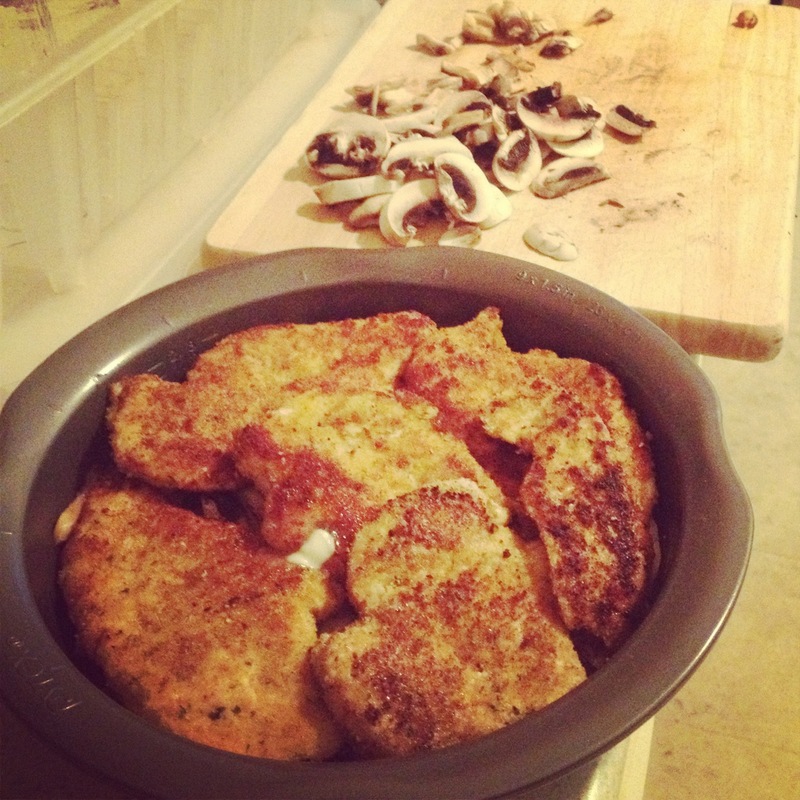 Take your cooked chicken and form a layer over the mushrooms. Spread the rest of the mushrooms over the chicken and pour the rest of your broth on top. 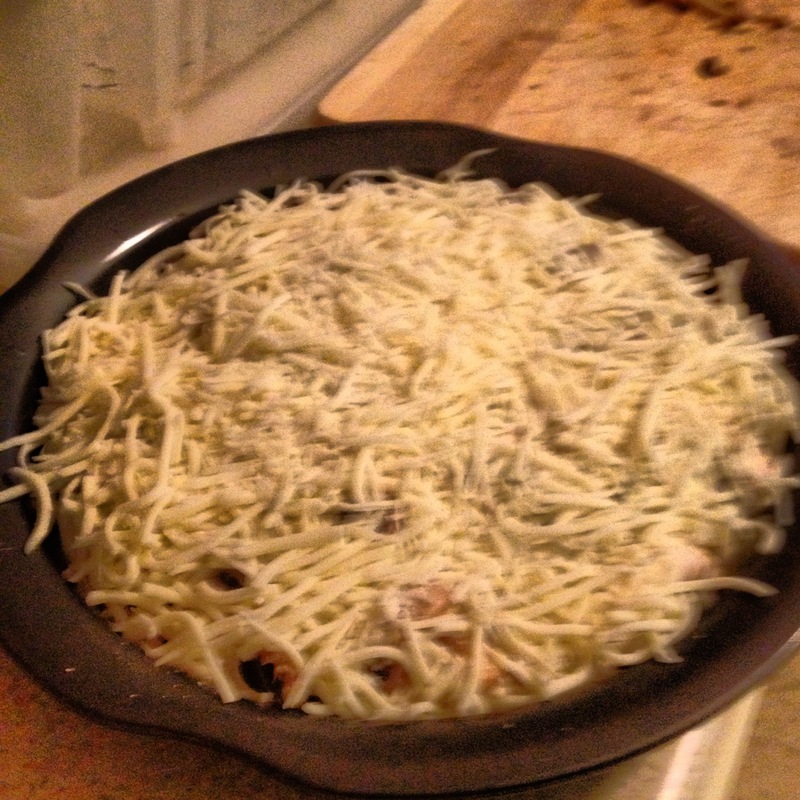 Finish off the preparation by topping the chicken with the mozzarella cheese. Once everything is layered, you can place the dish in the oven at 400ᵒF for 35-45 minutes. The cheese should be completely melted and browned at the top once the time is done and the chicken will have finished cooking all the way through in the oven. As you can see, this recipe is quick, hassle free and truly tasty. I’ve made this so many times that I don’t have to make a shopping list when I go to the store anymore and once you’ve tried it, you’ll be the same. Today I paired it with some cheesy scalloped potatoes, but this goes well with mashed potatoes, a light salad, steamed veggies or any number of other side dishes. Give it a try and I promise you’ll have a great dinner!